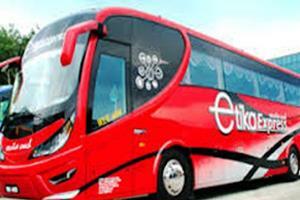 Etika Delta Sdn Bhd (Etika Express) is a relatively young yet proper managed express bus company in Malaysia. They have strong presence in the Northern region of Malaysia. The company have bus services departing from Kuala Perlis (gateway to Langkawi), Alor Setar, Sungai Petani, Kangar, and Kulim going to Kuala Lumpur. as well as the return service from KL to the northern cities. Besides the bus services connecting Kuala Lumpur and the nothern cities, Etika Express also supplies bus services from Kuala Lumpur to the east coastal cities in Malaysia including Kuantan, Kemaman, and Kuala Terengganu. In fact, Etika Express is one of the preferred choices for passengers to go from Kuala Lumpur to Kuantan. Etika Express is constantly adding new buses and replacing old buses with new buses to it’s fleet. Their fleet has 2 types of buses, namely standard 30-seater single deck VIP bus and 38-seater double deck bus. With the good maintenance practice, their buses are usually new and clean. By joining BusOnlineTicket.com, you can book their ticket online now!